The defence of Anzor Arslanuk, who faces deportation to Syria, has received a response from the Russian Ministry of Foreign Affairs (MFA). According to the MFA's response, there are no documents to confirm his Russian citizenship. The Russian MFA recommends Anzor Arslanuk to file an appeal to the Russian Presidential Commission on Citizenship. This was reported by advocate Oksana Trenbach. The "Caucasian Knot" has reported that the Adler District Court pronounced the decision to deport Anzor Arslanuk (earlier, his surname had been mentioned as Arslanuk). Tamara Stas, the mother of the young man, a resident of Syria, has addressed the Russian President with a request not to admit her son's deportation. According to the data available at the Russian MFA's electronic citizenship database, Tamara Stas was granted Russian citizenship at the Russian Embassy in Syria in 1994, and her daughter in 1999. The names of Aslan, Dima, and Anzor, the sons of Tamara Stas, are not listed in the electronic database and in the foreign policy archive of the Russian MFA. "It is impossible to be a citizen of the Russian Federation in 1994 and cease to be a citizen in 2017, given that the citizen himself did not renounce his citizenship," claimed the advocate. 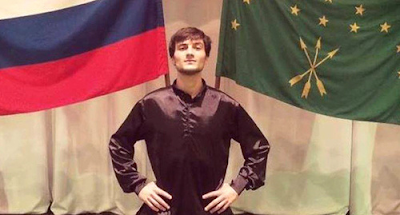 Asker Sokht, the deputy chairman of the NGO "Adyge Khase", believes that Anzor Arslanuk is deprived of Russian citizenship in contradiction to the Constitution. According to him, "each of us can find oneself out of the legal field." The advocate has also reported that the young man continues to stay in the detention centre for foreign citizens and stateless persons in Gulkevichi. Meanwhile, the consideration of the Anzor Arslanuk's application on citizenship can take a year.